I am an accomplished Community Manager who has managed staff teams in multiple countries, and organised leagues that has catered to thousands of players. Academically, I am trained in Marketing and Consumer Insight. Below you will find examples of my work with several communities and examples of my work in Strategy Crafting. If you have any further questions or would like to discuss anything further please refer to the contact email that can be found here. I am looking forward to hearing from you! Communities are a big passion of mine and I have spent a lot of my personal time nurturing and developing them. . The Team Fortress 2 gamemode of Highlander consists of games where each team must have a minimum of 9 players but often has at least 12 players registered to allow for backups and substitutions during half time. A team refers to a minimum of 9 people. The Round Robin began as a small European Only One Day Tournament, but quickly grew to featuring North American Teams. Under my leadership, The Round Robin was acknowledged by the developers Valve, was featured in all major Team Fortress 2 news outlets (eXtv, Vanilla TV, KritzKast, Competitive Wiki), was shoutcasted by all the prominent shout casters and won an award for its dedication to creating a safe space for female gamers. I worked with my staff to grow the tournament from five teams to over 100 teams applying to participate. As the European Manager of over 90 low level teams for United Gaming Clans my job was simply to schedule games and handle disputes. However, I felt more could be done, so I created weekly emails with rules, download links and helpful guides written in simple English (as not every team had a native English speaker) to ensure all teams were on the same page. This not only worked to keep teams updated but it also helped to create a dialogue. In doing so I was able to address their issues and see areas of improvement which lead to the creation of an extra division for very new teams and players. I also worked to revived the long unused Facebook Page and created a Twitter page which lead to better information dissemination, but also more positive community interactions. Click the images to take you to a more indepth look of my work with each organisation. Each academic piece I wrote during my masters was accompanied by a Client Report, that translated my insights into attractive end user friendly documents created using various Adobe programs. Doing this enabled me to see how the information could be applicable in a real world setting. Here are some examples of my work. Simply put, Map Building. A Consumer Psychologist’s role is to observe, study and understand the motivations, experiences, needs, wants and desires of your consumer. Then convey them along with a plan of action. The Importance of Owning a Colour in the Consumer Environment. Some research shows that consumers make up their minds within 90 seconds of their initial interactions with products and about 62–90 percent of the assessments they make is solely based on colour. When a brand owns a colour, it becomes shorthand for the brand promise and no other brand can be associated with the same promise in the same way. 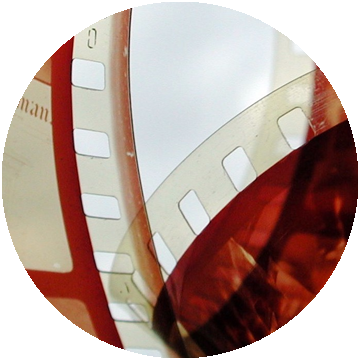 Why Filmvertising is the coolest form of Content Marketing. In 2014, The Lego Group delivered one of the best pieces of Content Marketing in the form of a Film which reignited interest in Lego and saw and sales skyrocket. That fascinated me, normally adverts are created with a primary focus to convince their audience to part with their money by entertaining them. But here, the Lego Group clearly focused on creating a piece of content with the primary goal to entertain first, and sell second. That lead me down the road of Content Marketing Films, and I realised no one was talking about them! Filmvertising is the realm of risk takers and so far, the only ones who are bold enough are toy companies. It’s a risky gamble, high risk and high reward. Reserved only for the bravest of brands. Consumers love Seasons, be they Institutional or Natural. They allow for the marking of the passage of time, and give markers for socially acceptable purchases. These seasons are important in society for the marking of time, for brands to sell but also for customers who feel a freedom to indulge. They also act as a social cue for appropriate behaviours. Click the images or titles to be taken to the full article on Medium. My final MSc project focused on how Intrinsic Motivation can be used in the Consumer Environment. I created a short .pdf that summarise my findings.